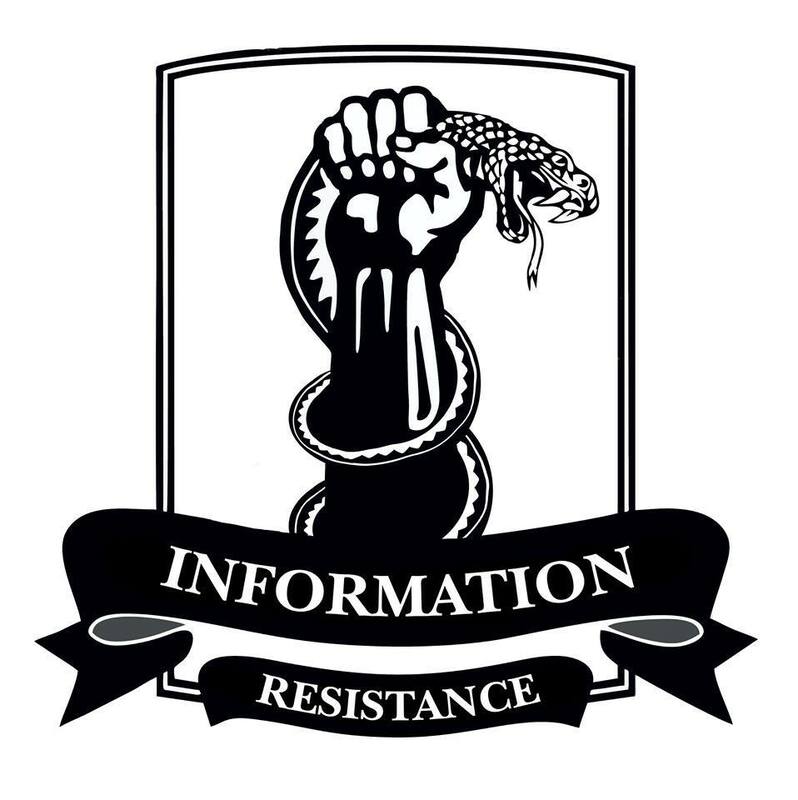 Dmitry Tymchuk, Coordinator, Information Resistance. Translated and edited by Voices of Ukraine. Here’s the Summary for May 30, 2014 (for previous summary, please see Summary for May 29). The impression is that “Nona” has endless ammunition (for your reference, the standard ammunition [for “Nona”] constitutes 25 rounds). Since it’s impossible to destroy it (which still seems a little strange), it wouldn’t hurt, for starters, to answer the question of who delivers the ammunition for it and how. But the Guardsmen will avenge theirs. The National Guard commander S. Poltorak vowed that terrorists would answer “for every murdered soldier, National Guard and Ukrainian Army serviceman.” “The earth will burn under their feet,” he said. The terrorists have accumulated black deeds for which it’s high time to answer, in abundance. But as a former officer of the [National] Guard (the first one, before 2000), I’d like to add about Poltorak’s statement (excuse my pathos): Guardsmen don’t throw words at the wind. If a civilized country put forward such claims, obviously it would still raise questions, but [people] would at least try to understand a similar statement. But when the Kremlin is engaged in such nonsense, and constantly drowns entire regions of Russia in the blood of their countrymen–it is perceived as a delirium. Despite this, tens of millions of Russian citizens with a diagnosis of “chronic Kiselev thought process” [that is currently] raging throughout the Russian Federation, sincerely believe in these ravings. Meanwhile, for a long time now, we have been receiving data that Russian border guards fully facilitate the infiltration of terrorists into the territory of Ukraine–although for today, this is visible to the naked eye. According to IR information, the Russian border guards supply the insurgent “warlords” with information about the locations of Ukrainian border guard service units and recommend the best routes for movement. And, of course, they completely refuse to recognize the facts of border violations between the two states–simply put, they provide the “roof” for mercenaries following the Kremlin’s task. I hope that such assistance from the Border Service of the FSB of Russia won’t save the freaks that are working to turn Donbas into a meat grinder. It’s necessary to create a “security zone” around Donbas, where the ATO forces battle the terrorists. So that this infection won’t spread, and so that it only has one way [to go], in zinc coffins to their dear Russia. By the way, according to the Minister of Defense M.Koval, in Donbas the ring around insurgents is currently being closed in on. 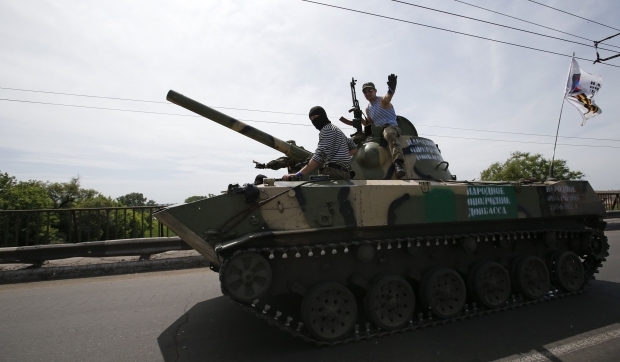 Thus, the south and west of Donetsk Oblast and the north of Luhansk Oblast have been released from terrorists. It is a shame that this process is incredibly slow. 3. 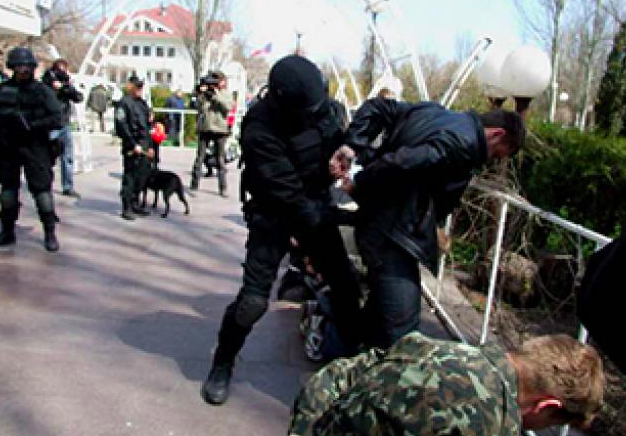 Today, special forces repulsed an attempt to break through the cordon around Sloviansk. Terrorists tried to plow through the long-suffering checkpoint in the direction of Red Lyman, but failed to do so. Run, little rats. The main task is not to miss anyone, since a large “distribution of elephants” [colloquial for “gift–giving” in the form of payback] is not that far off, and we would not want to deprive some of these gentlemen of what they deserve. Justice first and foremost. This entry was posted in Dmitry Tymchuk, English, English News, Languages, News, News summary, Opinions, Regіons, South&Eastern Ukraine and tagged #Dnipro Battalion, #Eastern Ukraine, #Human_Rights, #RussiaInvadesUkraine, #SaveUkraine, #Sloviansk, #ukraineprotests, ATO, Dmitry Tymchuk, Donbas, Donetsk, Information Resistance, Luhansk, Russia, Ukraine. Bookmark the permalink. thank you! I daily look forward for your news! God Answers Every Prayer Asked In Jesus’ Name . Let´s thank Our Almighty God for sending His best angels to help the Ukrainian soldiers! I pray to God In Jesus’ Name to keep supporting you too my brother Dmitry Tymchuk! Um grande abraço do Brasil meu irmão Dmitry Tymchuk! Que Deus lhe abençõe! Em nome do Nosso Senhor Jesus Cristo! Amem! I’m writing from Italy. My mother is German and my father was born in Valle d’Aosta, a bilingual italian region (speaking Italian and French). Here in Italy have autonomous special status regions and all is working well. In the past, Italy annexed South-Tyrol, a german speaking region and after a lot of bombs by their separatists, we reached an agreement for an autonomous status of this region. Please respect the language minorities that every State has inside. Stop every military action and talk to your human neighbours. The nationalism isn’t the right answer to avoid future terrorist events. The Nations aren’t the States, be righteous and build an happy cohesistence with all the peoples. Glory to the brave Ukrainian soldiers!! !